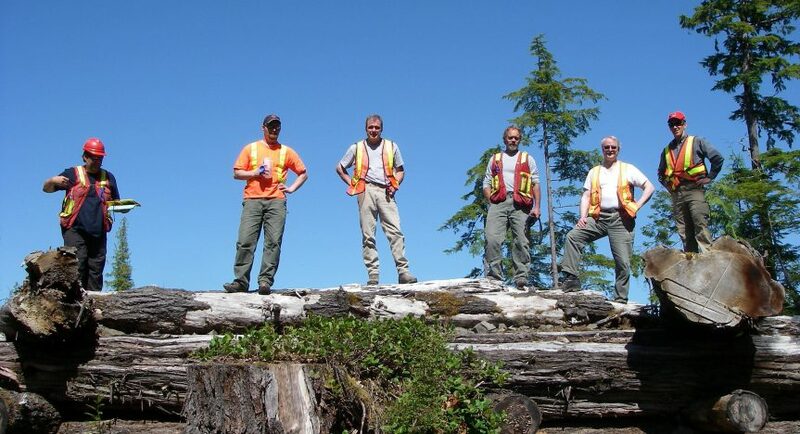 As part of the Forest Practices Board’s 2011 compliance audit program, the Board randomly selected the Kamloops District as the location for a full-scope compliance audit. Within the district, the Board selected non-renewable forest licences (NRFL) A80706, held by Tk’Emlupsemc Forestry Development Corporation, A81385, held by the Ashcroft Indian Band, and A83410, held by the Neskonlith Indian Band , for audit. The NRFLs were awarded under the Forest Act, section 47.3, to address the salvage of fire and insect damaged timber in the district. The three NRFLs have a combined allowable annual cut of 83 575 cubic metres. Harvest is restricted to lodgepole pine stands that have been heavily attacked by mountain pine beetle and fire damaged stands. During the two-year period of this audit, 146 014 cubic metres were harvested under these NRFLs.